Growums are little kits for that make it easy for children to have their own little gardens. The two kits we received are for a stir fry and herb garden. Although a seed pack costs less than these kits, my children always seem to fall for such marketing. I, on the other hand, get annoyed with cartoon characters of plants, as found on the website. 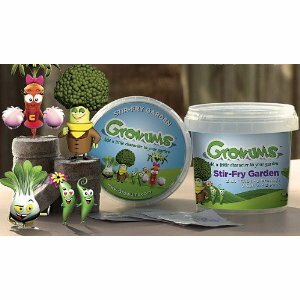 For some kids, they need such silliness to get them interested in growing their own gardens. The Growums kits come with seeds and coco pellets. I would rather my children learn to plant seeds in soil, as I have taught them. Gardening is easy. Growing food is easy. Kits may make them seem easy for children, but why not learn how to grow food in reality from the get go? Would I buy this product? No. I’d rather just give my children seeds and their own section of the garden. They don’t need an interactive website to learn about growing food. In fact, we head into the garden to simplify our lives and get away from technology. Sometimes we review products that may not seem so directed at children, but they are part of green family life. Green Earth Technologies G Oil products are for the family car, a somewhat necessity in most people’s lives that is not so easy to green, especially if you have a large family that can’t squeeze into a Prius or Smart Car. 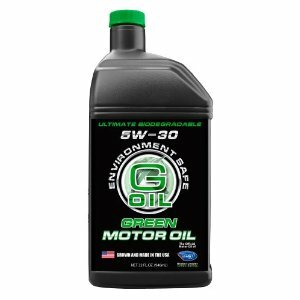 Change your oil, change the world with Environment Safe, ULTIMATE BIODEGRADABLE* G-OIL® GREEN Motor Oil, the world’s first and only American Petroleum Institute’s (API) “SM” Certified bio-based motor oil. We blend nature’s American grown base oils (domestically sourced beef tallow) with nanotechnology to provide superior performance protection during the maximum oil change intervals recommended by vehicle manufactures while meeting or exceeding requirements. All natural and environmentally safe, G-OIL 4-Cycle GREEN Engine Oil is the GREEN SOLUTION for all 4-Cycle air-cooled engines, including lawn and garden equipment, small tractors, log splitters, compressors, steam cleaners, pressure washers, pumps and generators, that require 10W-30 engine oils…satisfaction guaranteed! All bottles are recyclable, and all products are grown and made in the USA. Would I buy these products? Some yes, some no. I am a simple cleaner, even when it comes to the car. Basic dish soap or vinegar with water. Firing up a pressure washer to wash my car also is not very eco-friendly, considering the gas it takes to run the noisy thing. I’m also afraid of nanotechnology. The engine oil seems like a good thing, but I don’t change my own oil anymore. I suppose I would support a shop that used this oil over one that did not. Also not sure why the glass cleaner is organic. There isn’t an ingredient list, and it hints at marketing to me. I would buy the 4-cycle and 2-cycle oils for our lawn and garden equipment. Born Free has been the standard for BPA-free plastics since before it was well known this hormone disrupting chemical was so bad for us. Not only does Born Free offer safer plastics, you can return your used bottles and cups for recycling to Born Free. The free flow silicone air valve incorporated into the BornFree® Venting System breathes together with your feeding baby and starts a steady flow of liquid only when your baby suckles, just like breastfeeding. ActiveFlow™, where babies control their own flow of milk, makes for a comfortable and easy feed for both of you while combining naturally with breastfeeding. Would I buy these products? No, I don’t trust plastic, BPA-free or not, and if alternatives exist, I will always choose them. 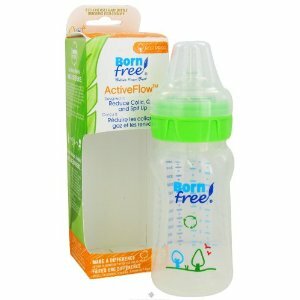 I trust Born Free for their long standing commitment to BPA-free, but I think Lifefactory Glass Baby Bottle with Silicone Sleeve is a safer option. 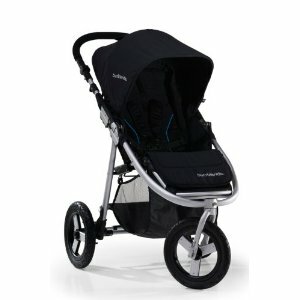 The Bumbleride is the Mercedes of strollers. We pushed this thing, fully loaded with a kid and all the assorted kid gear we could cram into it, up hills and over grass, through dirt and gravel and nuclear waste (ok, I’m stretching it a bit here), and it performed with extreme awesomeness. Yup, awesomeness. Furthermore, the fabrics are made from recycled content and bamboo! If you have a family, you do a lot of laundry! That’s a lot of detergent, and most commercial laundry products are very, very bad for our environment and for your skin. My son has very sensitive skin, and I always have to use natural laundry products or he gets a rash. Laundry balls offer an alternative to soap or detergent. SmartKlean’s lasts for 365 washes! Innovative. Delivers an effective, toxic-free wash without the use of soap or detergent. Earth-Friendly, People-Friendly. Derived from earth minerals, its active components are formulated to leave no residues behind in the water or fabrics, making it 100% safe for people of all ages and the environment. Ideal for sensitive skin and eczema. Recyclable, BPA & PVC-free. Super Economic. Its full power lasts up to 365 washes or more! Additionally, without any foam or residues, it requires no rinse cycle, saving ‘loads’ of water & energy! Healthy for your wardrobe. It naturally maintains the softness, elasticity and color of the fabrics. In comparison to laundry detergent, your clothes and linens will last much longer. No remaining chemicals on clothes means no fabric softeners or dryer sheets are necessary! Easy to use. Just toss it in the washer with your laundry! Compatible with all washing machines. Would I buy this product? Yes. Not only does it save money on laundry soap, it also saves time. The laundry lady in my house never seems to reach the end of the pile. Now if SmartKlean could invent a ball to fold and put away the laundry. « Are Your Kids Allergic To Food – Or What’s In It? I could see buying the stir fry kit as kids seem to resonate to characters more than just the seeds behind them. The pressure washer car cleaner feels like an extra step even though I have a pressure washer. Already use a supposedly eco-friendly detergent but the ball sounds very intyeresting. Will keep my eye on that one! Well, thanks for sharing, there are many new things for us to know, my babies keep on breaking things. Seems good! !